The European Council has refused to present the European Parliament with the progress reports for Bulgaria and Romania's accession to the Schengen Area. This information was given to the Bulgarian National Radio by MEPs from the Committee on Civil Rights, Justice and Internal affairs, which is to discuss Bulgaria and Romania's Schengen case Tuesday afternoon. The reason given by the Council for the refusal is that the reports are confidential and inconclusive. The Committee's raporteur on the case, Portugese MEP Carlos Coelho, said he has been given access to the reports, but could not make copies or even write down notes. His fellow Committee members have nevertheless not been admitted to read the documents, which makes Tuesday's discussion problematic. Coelho expressed his surprise and great concern at the Council's decision, saying it hampers the work of Parliament. Controversy flared around Bulgaria and Romania's Schengen entry, initially planned for March 2011, after EU juggernauts France and Germany came out in December with the position that for the time being they will veto the accession, on the grounds that the two countries have still grave problems in the fields of justice and law enforcement. 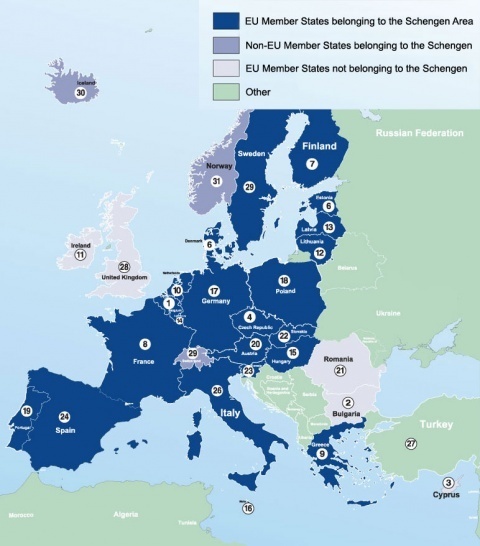 On their part, Bulgaria and Romania have insisted to be judged solely on the technical criteria set up for Schengen entry, and not to set double standards. Among EU institutions, the European Parliament is well-known to be strongly pro-integrationist, and could likely be favorable and just regarding Bulgaria and Romania's Schengen prospects. The European Council, of the other hand, is still an intergovernmental body and naturally stands for the interests of member-states, with larger ones having more sway.